Department the position is in: Communications Department, learn more here. Overview of position: Vice President positions are leadership roles to mentor and develop the skills of YDWA directors. In an ideal world, you would have the skills to manage your team to do the work of the department instead of doing it yourself. If you don’t have those skills yet, use this position to grow as a leader so you bring them to all jobs you have in the future! The VP of Communications heads the department in charge of marketing YDWA’s events, communicating issues across the state, and maintaining the overall brand of the organization. 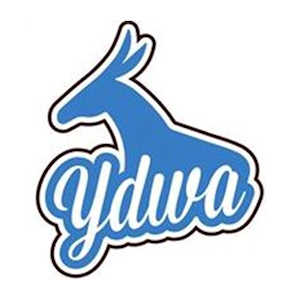 They work with other departments to ensure that YDWA has a presence on social media and on the website. Ability to support and communicate to directors in order to delegate tasks. Ability to work cross-departmentally with other YDWA leaders to deliver on their projects’ communication needs. Some background in at least one of the following: writing, marketing, branding, journalism, blogging, website content management, or social media. Interest in setting a creative vision for the organization. Statewide market to show your skills and develop a name for yourself. Be able to get creative and take chances in the communications world. Build your professional portfolio of work. Gain incredibly transferable leadership and project management skills. Department the position is in: Operations Department, learn more here. Overview of position: The Finance director tracks all financial activity of YDWA and makes sure that YDWA is following financial regulations. The Finance director also reports about financial information at the YDWA general meetings and makes financial information available to the executive board as needed. Any IRS filings, PDC filings, or banking work all falls under the purview of the Finance director.